During the first year after your divorce, every holiday and event will require some flexibility as you navigate sharing parenting time and creating new traditions. 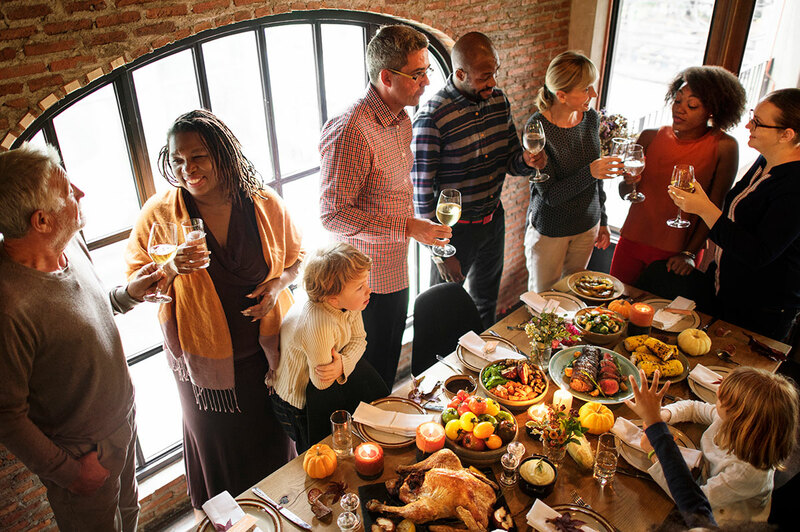 The Thanksgiving holiday is bound to have some challenges for both you and your kids; however, there are some things you can do to help everyone get through – and maybe even enjoy – Thanksgiving after divorce. Your kids may feel sad or angry about the divorce, and the holidays may increase those feelings. Instead of trying to spin things positively (“You get two Thanksgiving feasts!”), acknowledge their feelings even if it’s difficult (“You are really sad that we aren’t all together this year” or “You are angry that you won’t see your mom on Thanksgiving”). This will help your kids feel understood – which is the first step for beginning the process of healing and moving forward. Thanksgiving is a holiday about being grateful. It might sound impossible to feel grateful for a divorce or the stress of navigating a holiday when you feel sad, angry, hurt or lonely. I’m not asking you to pretend to be grateful for those things or to fake your feelings. Rather, I’m encouraging you to identify the things in your life that you are grateful to have. It could be close relationships with your kids, your health, or supportive friends and family. Highlighting real gratitude for your children will model positive coping and will remind you that nothing is black and white – there are still good things in your life. Continuing traditions that are meaningful to you and your kids will provide a sense of continuity during this time of change. When kids see that their favorite Thanksgiving ritual of sharing what they are thankful for continues even though Mom isn’t there on that night, it is reassuring that they will continue to enjoy making memories. In addition to keeping some favorite rituals, this is an ideal time to create new traditions that will give you and your kids an opportunity to make the holiday more meaningful. If you have always wished that you had more connection or relaxation at the holidays, build that into your time with your kids. Divorce can feel out of control to a kid, so including them in creating new traditions for Thanksgiving after divorce is a way to give them license to create their new family life. 5. Co-Parent the Holidays as a TeamThis is a great way to model for your children that you are working together to parent them. Encourage your child to have fun when he or she is with the other parent. Ask about their extended family celebrations so that the children know you want them to have fun and stay connected to grandparents, aunts, uncles, and cousins. Being open and flexible with your co-parent builds goodwill and sets a good foundation for working together. You will likely have times over the holidays when you do not have your children. Plan ahead for how you would like to spend that time. To some, it is ideal to be alone and relaxing, while that might feel lonely to another. There isn’t a right or wrong way; it’s about what is meaningful and enjoyable to you. Reach out to family and friends to stay connected and feel supported. The holidays are an opportunity for connection and making memories. It can also be a stressful time because of unrealistic expectations. Recognizing that everyone will have reactions to the changes will allow you to support your kids and be gentle with yourself during your first (or second, or third) Thanksgiving after divorce.